← Are Private Label Office Supplies Good Value? The term “Conscious Capitalism” is relatively new, and refers to a movement of socially conscious companies and business leaders that believe that business has both the ability and responsibility to be agents of positive social change. When you think about it, what institution has more of an impact on people’s daily lives than “business”? We work all day for businesses, spend our money with businesses, build relationships with businesses, and interact in our communities with businesses. What else has more of an impact on the daily activities of human beings from an economic, social, and even environmental standpoint than “business”? It makes perfect sense that when companies shift the way they operate towards the greater good of society, the benefits flow throughout our community, creating positive changes in our world. The beauty of a conscious capitalism business model is it not only helps others, but it promotes the health and profitability of the organizations that practice this model. Zuma Office Supply is one of a growing number of companies that espouse this new model. They sell office supplies online nationwide, and have the low prices and fast shipping required to compete in this ultra competitive market. Zuma’s tagline is “Do Good Work” because they support the community by donating 50% of their profits to great charities. While that is admirable, it is only the beginning of truly practicing conscious capitalism. 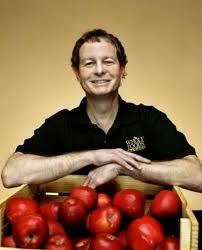 Whole Foods Market is probably the best known company pioneering this business model, led by their dynamic CEO John Mackey. 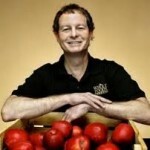 John is a visible proponent for conscious capitalism, and is one of the thought leaders for an organization of the same name that is doing what they can to spread this business philosophy to more and more companies. Their website, www.consciouscapitalism.org, offers information and inspiration to those wanting to learn more. In easy-to-understand terms, conscious capitalism takes into account all stakeholders in the business process, and encourages businesses to treat each area, or cog in the wheel, with respect, openness and honesty. It believes that each stakeholder’s health is vital to your own health, and that each “cog” is interrelated working towards common goals and outcomes. Our Customers – Exceed expectations, and treat everyone with honesty and respect. Our Employees – Pay competitive salaries and benefits while offering the opportunity to be shareholders to prosper as our business prospers. Our Vendors – Maintain open, fair and honest relationships, and pay our bills on time. Our Community – Donate 50% of profits to great charities that our customers help chose. 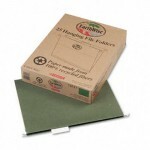 Our Environment – Offer huge selection of Eco-Friendly and recycled office supplies. Recycle throughout the offices and use “green” products. Maintain the smallest carbon footprint possible. Environementally friendly products like Earthwise 100% recycled hanging folders are better for our earth! This example perfectly illustrates how the model creates satisfied customers, happy employees, and successful vendors, while helping others in the community who are less fortunate, and being good stewards of the environment for future generations. That’s a mouthful, but says pretty well what conscious capitalism is all about. Think of all the businesses you interact with, and the massive amount of good that can happen if all businesses were working in a similar fashion. Shouldn’t we all strive to support companies that do good work? What are your thoughts? This entry was posted in Conscious Capitalism and tagged conscious capitalism, Do Good Work, office products, office supplies, Office Supplies Online, Recycled Office Supplies. Bookmark the permalink. This is exactly a little something I need to find more information about, thanks for the blog post. To check out more on Conscious Capitalism, I highly recommend http://www.consciouscapitalism.org. Thanks for your reply. Glad you like it…tell your friends about Zuma — http://www.zumaoffice.com! Thanks for the love and your comments. Thanks for the feedback. We’ve been a little busy lately and a remiss on getting a new posting out, but one is coming soon. Do Good Work! It is our hope to spread the word about our Conscious Capitalism business model so more businesses will help create societal change. More companies are using such models like Whole Foods Market and The Container Store. Great enthusiast of the website, several your articles have definitely helped me out. Looking towards updates!